SRS are able to offer the widest selection of thermal transfer ribbons at the same time as providing the most cost-effective prices for your business. With a vast array of black and colour compatible ribbons for the leading printer manufacturers to choose from and unrivalled support from our expert Sales Team, we ensure that ribbon selection for your machine is easy and hassle free. We can supply both branded products from the printer manufacturer as well as generic compatible ribbons from the worlds largest manufacturers. Beautifully Printed Labels that do justice to your product are our speciality. Painstaking attention to detail, rigorous and effective quality control systems, and highly efficient, professional, and friendly customer service have become our standard. We provide you with the human touch. We believe in providing our customers with the highest quality product possible. Our dedicated and eagle-eyed manufacturers are highly trained label printing professionals, all of whom take enormous pride in their work. When quality is of paramount importance, companies place their trust in SRS, be them smaller businesses ‘around the corner’ or larger national chains. SRS supply paper rolls for use in Point of Sale (POS), Cash Registers, Credit Card, Chip & Pin, ATMs, Kiosks, Fax, Telex and Adding Machines. One of the UK’s leading producers, we manufacture single and multiply rolls in plain format or printed in up to six colours. Our clients include OEM’s, Distributors, Multiple Retailers and Outsourcing Providers. Card issuers need to produce colorful, attractive, highly personalized cards. SRS understands card issuance needs and our mono print ribbons and process print ribbons are designed to deliver the results you require with exceptional image quality, consistency and color. We offer conventional color choices along with metallics. Custom pre-printed cards are also available that can then be overprinted as required with user specific or variable data. A critical element of all issuance programs is ensuring the right choice of supplies. Financial institutions, governments, retailers, schools and other issuers depend on high-quality supplies to deliver superior output and optimize system performance. 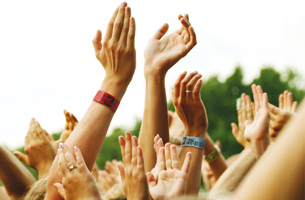 Eliminate costly and wasteful pre-printing of tickets and wristbands by deploying on demand production techniques with Zebra’s range wristband products. It goes without saying that hospitals should be as safe and error-free as we can possibly make them. One of the major causes of of error is the failure of accurate patient identification. Quality, comfortable patient wristbands, clear electronic printing and user-friendly software bring together solutions which take a big leap forward in safety. Electronic bar code technology provides a greater volume of key data at the bedside. SRS supplies wristbands for all printers that meet these requirements. Whilst we most readily associate wristbands with hospitals or concerts, they are a simple, cost-effective means of identifying pupils on school outings. They make it easy for pupils to be accounted for and for lost children to be returned to their group as quickly as possible. 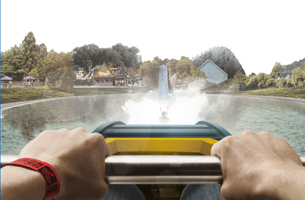 Wristbands are the obvious choice for any school trip. Zebra’s wristband solution offers a quick and intelligent method of identifying each pupil. Individual wristbands can be printed with important information relevant to each child (such as their ID and any allergy information) and the staff contact telephone number. With excellent print quality and durability, the wristbands start protecting pupils the moment they put them on.